Break out your favorite holiday cookie cutters and let the fun begin! 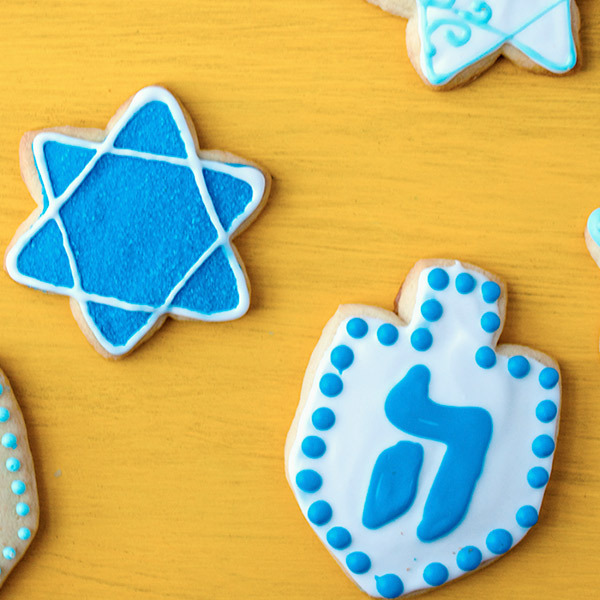 Our tasty Hanukkah Sugar Cookie recipe makes a dough that is easy to roll out and cut into shapes. Kids of all ages will enjoy decorating (and eating!) these wonderful Hanukkah Sugar Cookies. Beat together cream cheese, butter, sugar, and vanilla with electric mixer. Add the flour and salt mixture and blend well. Roll out the dough on a floured surface, cut into shapes, and place on cookie sheet about 2 inches apart. Bake at 350°F for 13 minutes or until edges are lightly browned. Decorate with icing and sprinkles.